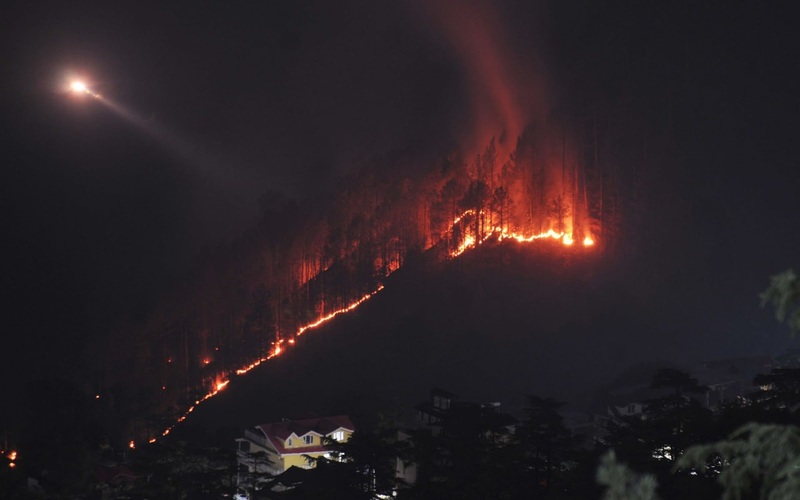 Wildfires burn through a hill side near the town of Shimla in the northern Indian state of Himachal Pradesh. 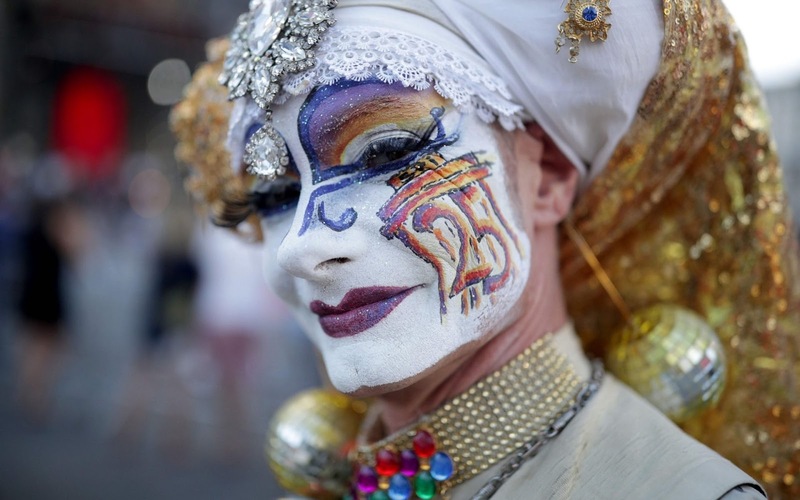 A guest arrives before the opening ceremony of the "Life Ball" in front of Vienna City Hall. 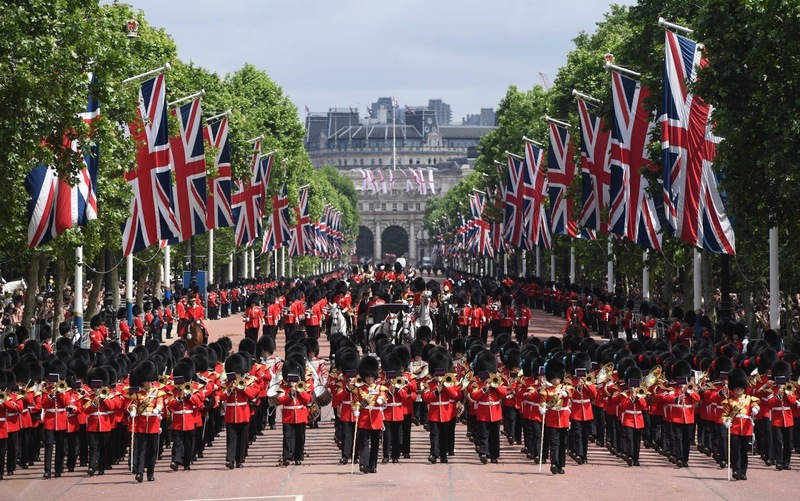 Members of the Queen's Guard take part in The Colonel's Review in London. 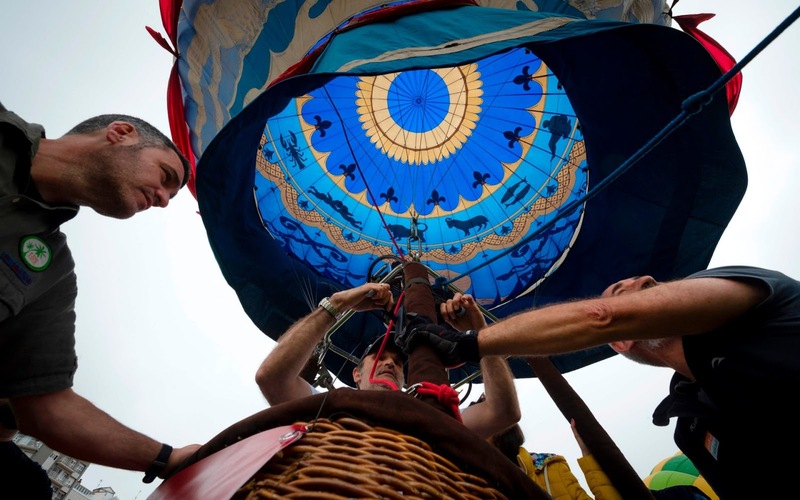 Competitors inflate their hot-air balloon during the "Gijon from the air" hot-air balloons regatta in Gijon, northern Spain. Steffi Graf and husband Andre Agassi are seen during the "Roland-Garros dans la Ville" operation - Longines Future Tennis Aces tournament in Paris, France. 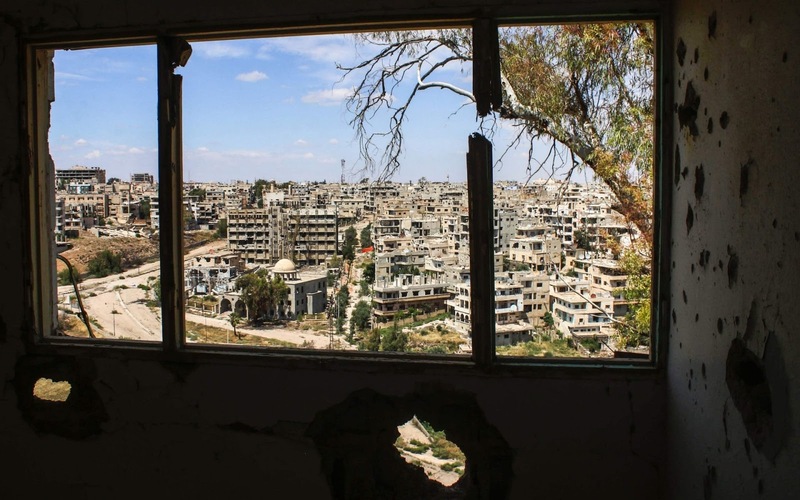 A general view of destroyed buildings in a rebel-held area in the southern Syrian city of Daraa. 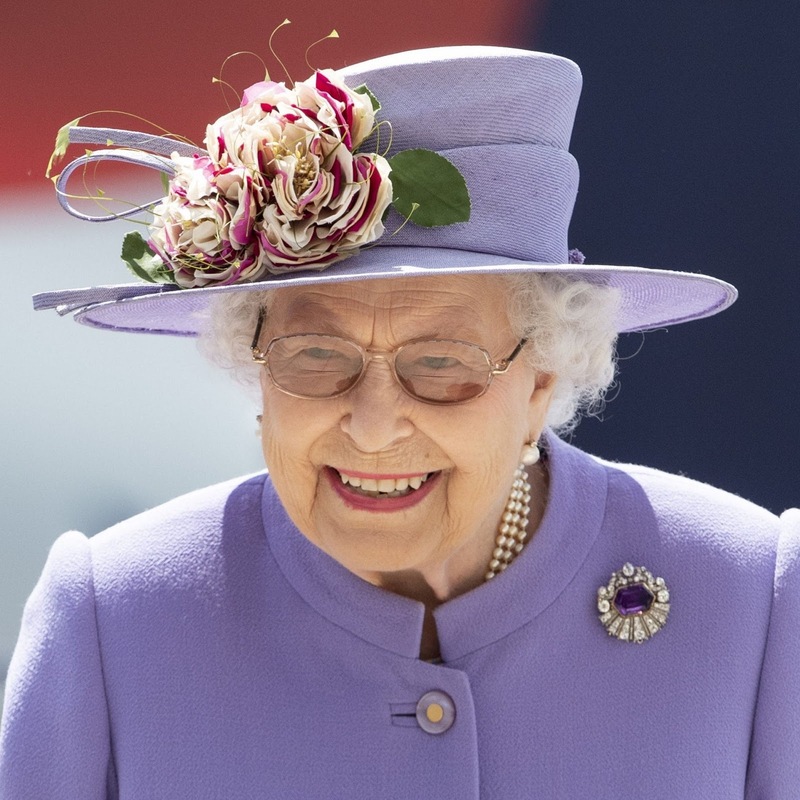 Queen Elizabeth II attends the Epsom Derby Festival at Epsom Racecourse. 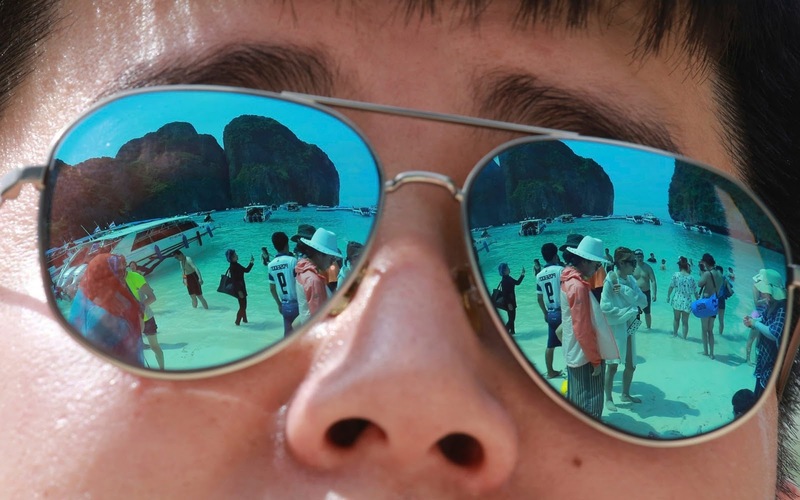 Tourists are reflected in sunglasses on Maya Bay on Phi Phi island in Krabi province, Thailand. Maya Bay on Phi Phi Leh Island in the Andaman Sea will close to tourists for four months from Friday to give its coral reefs and sea life a chance to recover from an onslaught that began nearly two decades ago. 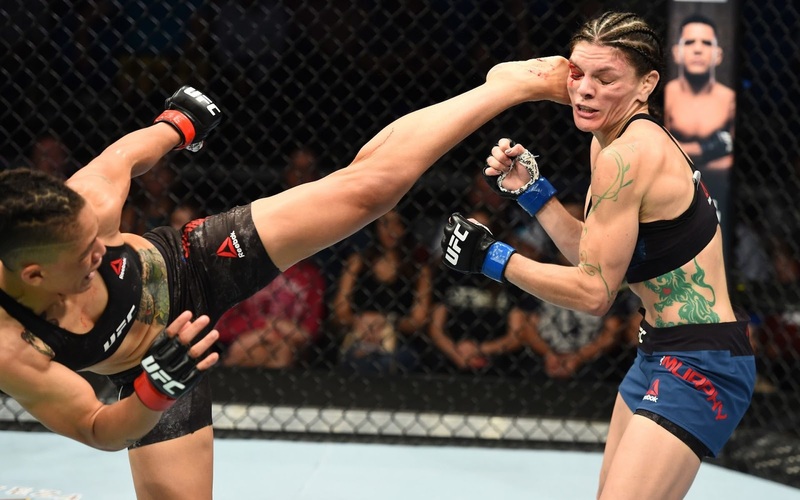 Sijara Eubanks kicks Lauren Murphy in the face in their women's flyweight fight during the UFC Fight Night event at the Adirondack Bank Centre in Utica, New York. 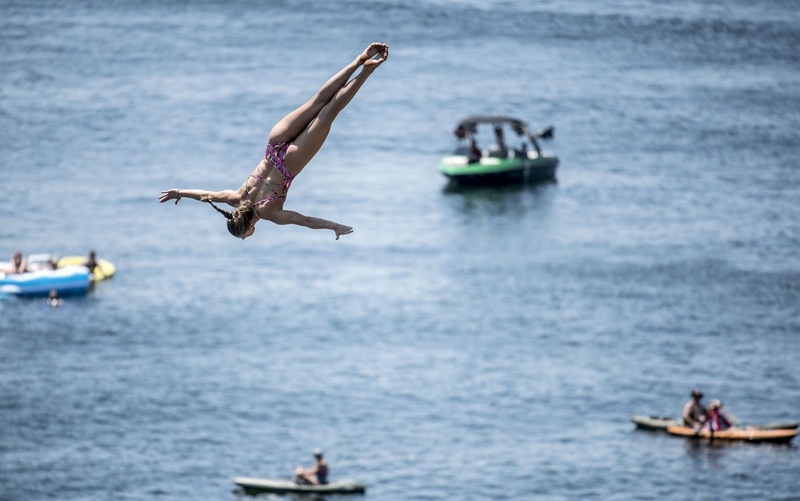 Jessica Macaulay of the UK dives from the 21 metre platform during the first competition day of the first stop at the Red Bull Cliff Diving World Series at Possum Kingdom Lake, Texas. 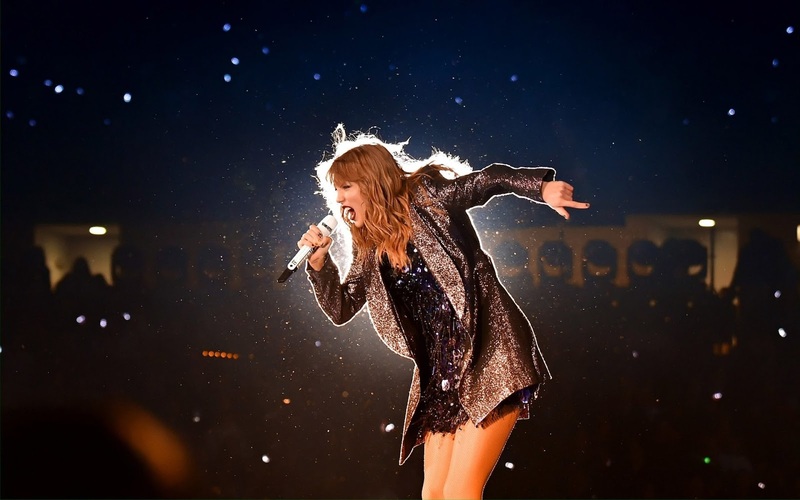 Taylor Swift performs onstage during the 2018 reputation Stadium Tour at Soldier Field in Chicago, Illinois. A performer rehearses her routine during "The Empire Strips Back: A Star Wars Burlesque Parody" in Los Angeles, California. 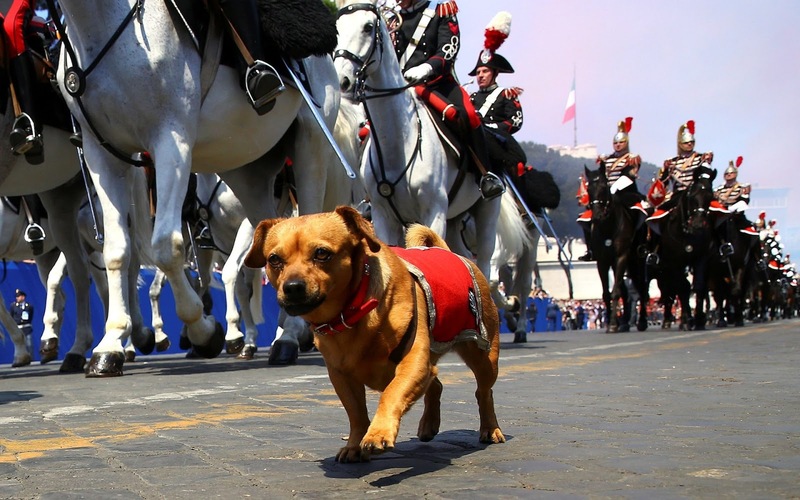 A dog mascot of the Italian elite military unit Cuirassiers' Regiment is seen during the Republic Day military parade in Rome, Italy. 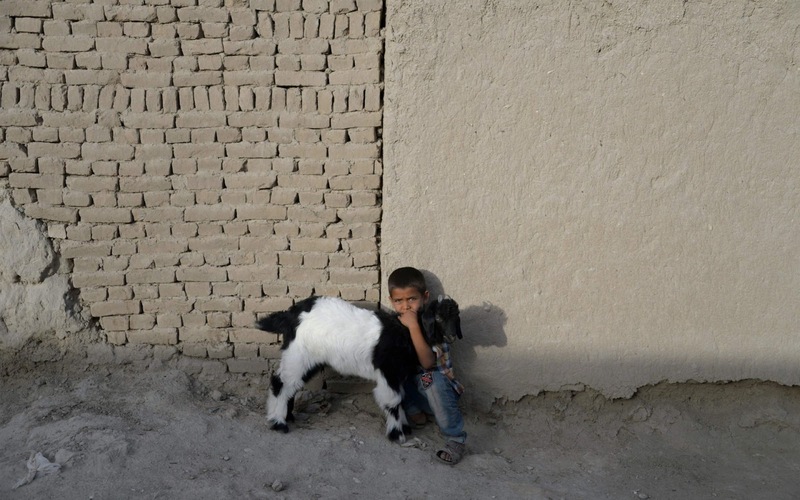 An Afghan child holds onto his baby goat in Mazar-i-Sharif. 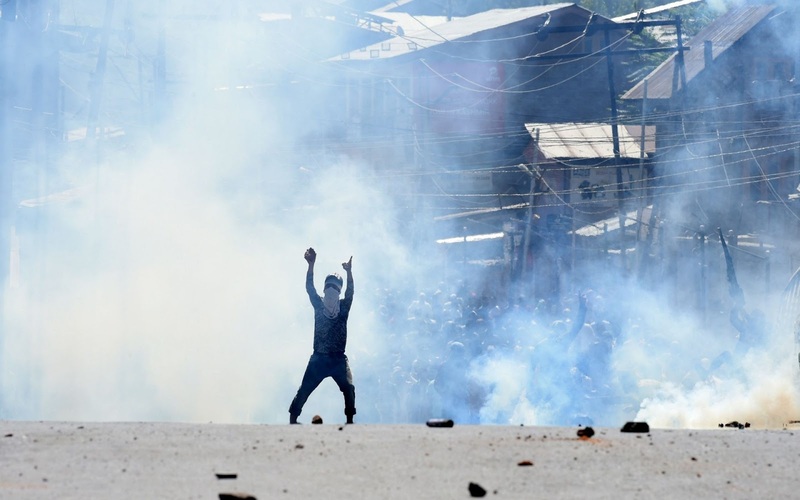 An Indian Kashmiri protestor gestures during clashes with Indian security forces at a funeral procession for Kashmiri civilian Kaiser Bhat in Srinagar. Brazilian gymnast Virginia Lins does a handstand on Ipanema Beach in Rio de Janeiro, Brazil. 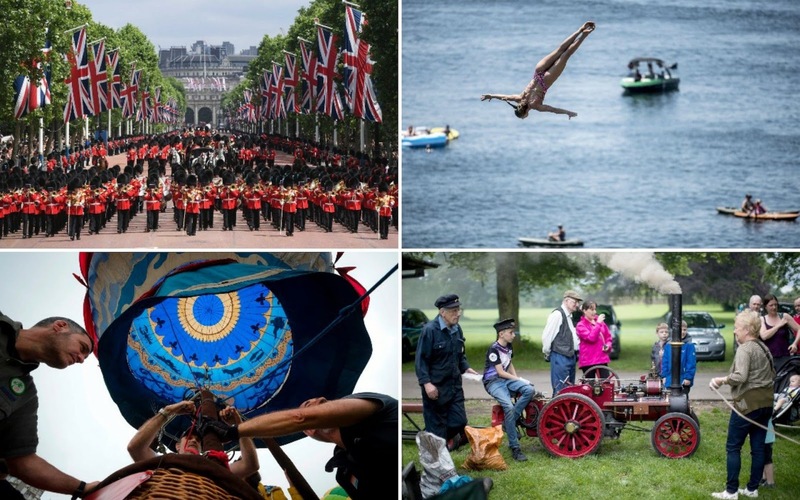 Victoria Pendleton during derby day of the 2018 Investec Derby Festival at Epsom Downs Racecourse. 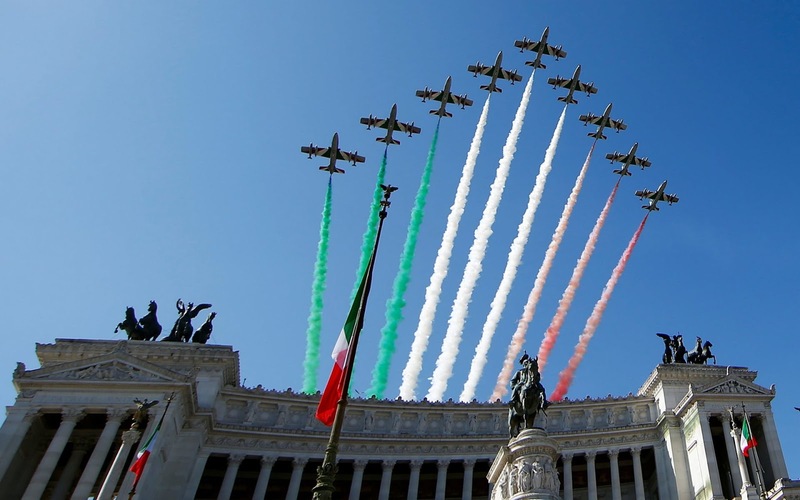 The Italian Frecce Tricolori aerobatic squad performs over the Vittoriano monument during the Republic Day military parade in Rome, Italy.